VANCOUVER, Wash. – The Northwest Advanced Renewables Alliance (NARA) will hold its first open house meeting for interested stakeholders in western Oregon and Washington. The purpose is to introduce the NARA project and leadership to stakeholders and establish a supply chain coalition in western Oregon and Washington. The meeting will be on Tuesday, May 21, in the multimedia classroom building VMMC, room 6, on the Washington State University Vancouver campus. The meeting will be conducted in two segments: 1) The 9 a.m.-noon session will provide a broad overview of the NARA project and regional supply chains. There will be opportunity for questions and feedback. 2) The 12:30-3:30 p.m. session will engage those stakeholders who would like to be actively involved in a western Oregon and Washington NARA supply chain coalition. A detailed agenda will be sent to those who register. Participants are asked to register here. All are welcome and there is no cost to attend. A lunch will be provided at no charge to registered participants. NARA is an alliance of researchers, educators and economists from universities, businesses and nongovernmental and governmental institutions dedicated to helping create a sustainable residual woody biomass to biojet fuel and value added co-products industry in the Oregon, Washington, Idaho and Montana region. 1) Develop a sustainable biojet fuel industry in the Pacific Northwest that uses residual woody biomass as feedstock. 2) Create valuable co-products made from lignin, which is an industrial byproduct of the woody biomass to biojet process. 3) Enhance and sustain rural economic development. 4) Establish supply chain coalitions within the NARA region. 5) Improve bioenergy literacy to develop a future energy workforce and enhance citizen understanding. 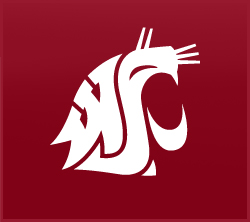 Created in fall 2011, the alliance is led by WSU and primarily funded by a $40 million, five-year agriculture and food research initiative competitive grant from the U.S. Department of Agriculture-National Institute of Food and Agriculture. The western Montana corridor recently was established as the first NARA supply chain coalition community. For more about this, visit here.